I am not the most feminine person you will ever meet and it's really not in my personality to shop for summer dresses, let alone floral summer dresses but I'm slowly beginning to change my mind and shopping inclinations eversince I slipped on this dress from Paradise Treats. Although it's not something I would normally associate myself with I didn't really feel out of character nor uncomfortable with it on. In fact, I felt the exact opposite. I felt comfortable, like I was in my second skin. It totally helped that the fabric they used was really soft and cool making it the perfect choice for the super warm afternoons we've been experiencing lately. I guess....expect to see me in more summer dresses these coming months. :P Extra frills not included. cute outfit! 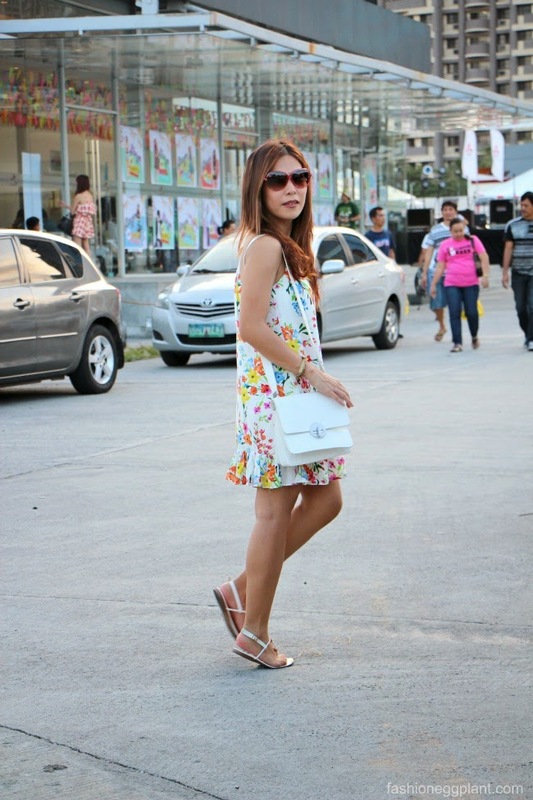 i like wearing white for summer, nde masakit sa mata ^_^ i love your sandals. ay, i noticed pala, matchy matchy yung colors ng dress mo with those banderitas behind you. Love your dress!! This is definitely perfect for summer!